Section 1. The Philippine Legislature is hereby authorized to provide for the election of delegates to a constitutional convention, which shall meet in the hall of the House of Representatives in the capital of the Philippine Islands, at such time as the Philippine Legislature may fix, but not later than October 1, 1934, to formulate and draft a constitution for the government of the Commonwealth of the Philippine Islands, subject to the conditions and qualifications prescribed in this Act, which shall exercise jurisdiction over all the territory ceded to the United States by the treaty of peace concluded between the United States and Spain on the 10th day of December, 1898, the boundaries of which are set forth in Article III of said treaty, together with those islands embraced in the treaty between Spain and the United States concluded at Washington on the 7th day of November, 1900. The Philippine Legislature shall provide for the necessary expenses of such convention. (1) All citizens of the Philippine Islands shall owe allegiance to the United States. (2) Every officer of the government of the Commonwealth of the Philippine Islands shall, before entering upon the discharge of his duties, take and subscribes an oath of office, declaring, among other things, that he recognizes and accepts the supreme authority of and will maintain true faith and allegiance to the United States. (3) Absolute toleration of religious sentiment shall be secured and no inhabitant or religious organization shall be molested in person or property on account of religious belief or mode of worship. (4) Property owned by the United States, cemeteries, churches, and parsonages or convents appurtenant thereto, and all lands, buildings, and improvements used exclusively for religious, charitable, or educational purposes shall be exempt from taxation. (5) Trade relations between the Philippine Islands and the United States shall be upon the basis prescribed in section 6. (6) The public debt of the Philippine Islands and its subordinate branches shall not exceed limits now or hereafter fixed by the Congress of the United States; and no loans shall be contracted in foreign countries without the approval of the President of the United States. (7) The debts, liabilities, and obligations of the present Philippine Government, its provinces, municipalities, and instrumentalities, valid and subsisting at the time of the adoption of the constitution, shall be assumed and paid by the new government. (8) Provision shall be made for the establishment and maintenance of an adequate system of public schools, primarily conducted in the English language. (9) Acts affecting currency, coinage, imports, exports, and immigration shall not become law until approved by the President of the United States. (10) Foreign affairs shall be under the direct supervision and control of the United States. (11) All acts passed by the Legislature of the Commonwealth of the Philippine Islands shall be reported to the Congress of the United States. (12) The Philippine Islands recognizes the right of the United States to expropriate property for public uses, to maintain military and other reservations and armed forces in the Philippines, and, upon order of the President, to call into the service of such armed forces all military forces organized by the Philippine Government. (13) The decisions of the courts of the Commonwealth of the Philippine Islands shall be subject to review by the Supreme Court of the United States as provided in paragraph 6 of section 7. (14) The United States may, by Presidential proclamation, exercise the right to intervene for the preservation of the government of the Commonwealth of the Philippine Islands and for the maintenance of the government as provided in the constitution thereof, and for the protection of life, property, and individual liberty and for the discharge of government obligations under and in accordance with the provisions of the constitution. (15) The authority of the United States High Commissioner to the government of the Commonwealth of the Philippine Islands, as provided in this Act, shall be recognized. 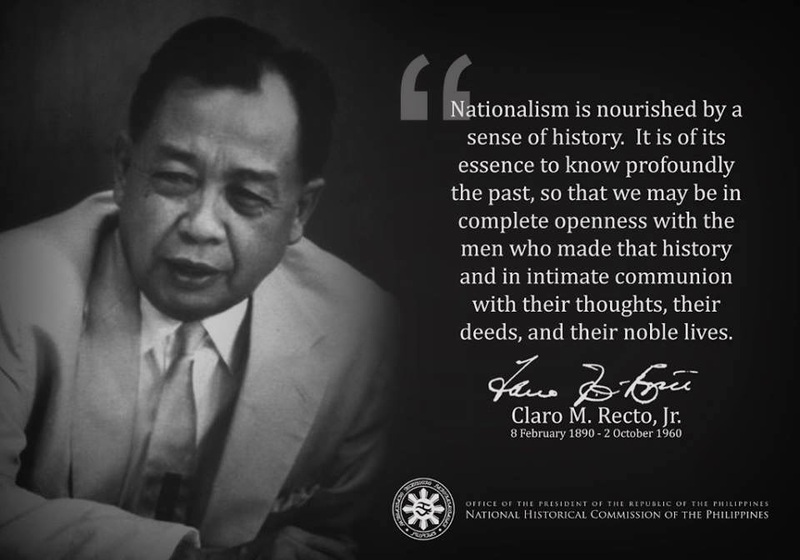 (16) Citizens and corporations of the United States shall enjoy in the Commonwealth of the Philippine Islands all the civil rights of the citizens and corporations, respectively, thereof. (1) That the property rights of the United States and the Philippine Islands shall be promptly adjusted and settled, and that all existing property rights of citizens or corporations of the United States shall be acknowledged, respected, and safeguarded to the same extent as property rights of citizens of the Philippine Islands. (2) That the officials elected and serving under the constitution adopted pursuant to the provisions of this Act shall be constitutional officers of the free and independent Government of the Philippine Islands and qualified to function in all respects as if elected directly under such government, and shall serve their full terms of office as prescribed in the constitution. (3) That the debts and liabilities of the Philippine Islands, its provinces, cities, municipalities, and instrumentalities, which shall be valid and subsisting at the time of the final and complete withdrawal of the sovereignty of the United States, shall be assumed by the free and independent Government of the Philippine Islands; and that where bonds have been issued under authority of an Act of Congress of the United States by the Philippine Islands, or any province, city, or municipality therein, the Philippine Government will make adequate provision for the necessary funds for the payment of interest and principal, and such obligations shall be a first lien on the taxes collected in the Philippine Islands. (4) That the Government of the Philippine Islands, on becoming independent of the United States, will assume all continuing obligations assumed by the United States under the treaty of peace with Spain ceding said Philippine Islands to the United States. (5) That by way of further assurance the Government of the Philippine Islands will embody the foregoing provisions [except paragraph (2)] in a treaty with the United States. Sec. 3. Upon the drafting and approval of the constitution by the constitutional convention in the Philippine Islands, the constitution shall be submitted within two years after the enactment of this Act to the President of the United States, who shall determine whether or not it conforms with the provisions of this Act. If the President finds that the proposed constitution conforms substantially with the provisions of this Act he shall so certify to the Governor-General of the Philippine Islands, who shall so advise the constitutional convention. If the President finds that the constitution does not conform with the provisions of this Act he shall so advise the Governor-General of the Philippine Islands, stating wherein in his judgment the constitution does not so conform and submitting provisions which will in his judgment make the constitution so conform.The Governor-General shall in turn submit such message to the constitutional convention for further action by them pursuant to the same procedure hereinbefore defined, until the President and the constitutional convention are in agreement. Sec. 4. After the President of the United States has certified that the constitution conforms with the provisions of this Act, it shall be submitted to the people of the Philippine Islands for their ratification or rejection at an election to be held within four months after the date of such certification, on a date to be fixed by the Philippine Legislature, at which election the qualified voters of the Philippine Islands shall have an opportunity to vote directly for or against the proposed constitution and ordinances appended thereto. Such election shall be held in such manner as may be prescribed by the Philippine Legislature, to which the return of the election shall be made. The Philippine Legislature shall by law provide for the canvassing of the return and shall certify the result to the Governor-General of the Philippine Islands, together with a statement of the votes cast, and a copy of said constitution and ordinances. If a majority of the votes cast shall be for the constitution, such vote shall be deemed an expression of the will of the people of the Philippine Islands in favor of Philippine independence, and the Governor-General shall, within thirty days after receipt of the certification from the Philippine Legislature, issue a proclamation for the election of officers of the government of the Commonwealth of the Philippine Islands provided for in the constitution. The election shall take place not earlier than three months nor later than six months after the proclamation by the Governor-General ordering such election. When the election of the officers provided for under the constitution has been held and the results determined, the Governor-General of the Philippine Islands shall certify the results of the election to the President of the United States, who shall thereupon issue a proclamation announcing the results of the election, and upon the issuance of such proclamation by the President the existing Philippine Government shall terminate and the new government shall enter upon its rights, privileges, powers, and duties, as provided under the constitution. The present Government of the Philippine Islands shall provide for the orderly transfer of the functions of government. If a majority of the votes cast are against the constitution, the existing Government of the Philippine Islands shall continue without regard to the provisions of this Act. Sec. 5. All the property and rights which may have been acquired in the Philippine Islands by the United States under the treaties mentioned in the first section of this Act, except such land or other property as has heretofore been designated by the President of the United States for and other reservations of the Government of the United States, and except such land or other property or rights or interests therein as may have been sold or otherwise disposed of in accordance with law, are hereby granted to the government of the Commonwealth of the Philippine Islands when constituted. (a) There shall be levied, collected, and paid on all refined sugars in excess of fifty thousand long tons, and on unrefined sugars in excess of eight hundred thousand long tons, coming into the United States from the Philippine Islands in any calendar year, the same rates of duty which are required by the laws of the United States to be levied, collected, and paid upon like articles imported from foreign countries. (b) There shall be levied, collected, and paid on all coconut oil coming into the United States from the Philippine Islands in any calendar year in excess of two hundred thousand long tons, the same rates of duty which are required by the laws of the United States to be levied, collected, and paid upon like articles imported from foreign countries. (c) There shall be levied, collected, and paid on all yarn, twine, cord, cordage, rope and cable, tarred or untarred, wholly or in chief value of Manila (abaca) or other hard fibers, coming into the United States from the Philippine Islands in any calendar year in excess of a collective total of three million pounds of all such articles hereinbefore enumerated, the same rates of duty which are required by the laws of the United States to be levied, collected, and paid upon like articles imported from foreign countries. (d) In the event that in any year the limit in the case of any article which may be exported to the United States free of duty shall be reached by the Philippine Islands, the amount or quantity of such articles produced or manufactured in the Philippine Islands thereafter that may be so exported to the United States free of duty shall be allocated, under export permits issued by the government of the Commonwealth of the Philippine Islands, to the producers or manufacturers of such articles proportionately on the basis of their exportation to the United States in the preceding year; except that in the case of unrefined sugar the amount thereof to be exported annually to the United States free of duty shall be allocated to the sugar-producing mills of the Islands proportionately on the basis of their average annual production for the calendar years 1931, 1932, and 1933, and the amount of sugar from each mill which may be so exported shall be allocated in each year between the mill and the planters on the basis of the proportion of sugar to which the mill and the planters are respectively entitled. The Government of the Philippine Islands is authorized to adopt the necessary laws and regulations for putting into effect the allocation hereinbefore provided. (5) After the expiration of the ninth year of the inauguration of the new government the export tax shall be 25 per centum of the rates of duty which are required by the laws of the United States to be levied collected and paid on like articles imported from foreign countries. The government of the Commonwealth of the Philippine Islands shall place all funds received in such export taxes in a sinking fund, and such funds shall, in addition to other moneys available for the purpose, be applied solely to the payment of the principal interest on the bonded indebtedness of the Philippine Islands, provinces, municipalities, and instrumentalities until such indebtedness has been fully discharged. When used in this section in a geographical sense, the term "United States" includes all Territories and possessions of the United States, except the Philippine Islands, the Virgin Islands, American Samoa, and the island of Guam. (1) Every duly adopted amendment to the constitution of the government of the Commonwealth of the Philippine Islands shall be submitted to the President of the United States for approval. If the President approves the amendment or if the President fails to disapprove such amendment within six months from the time of its submission, the amendment shall take effect as a part of such constitution. (2) The President of the United States shall have authority to suspend the taking effect of or the operation of any law, contract, or executive order of the government of the Commonwealth of the Philippine Islands, which in his judgment will result in a failure of the government of the Commonwealth of the Philippine Islands to fulfill its contracts, or to meet its bonded indebtedness and interest thereon or to provide for its sinking funds, or which seems likely to impair the reserves for the protection of the currency of the Philippine Islands, or which in his judgment will violate international obligations of the United States. (3) The Chief Executive of the Commonwealth of the Philippine Islands shall make an annual report to the President and Congress of the United States of the proceedings and operations of the government of the Commonwealth of the Philippine Islands and shall make such other reports as the President or Congress may request. (4) The President shall appoint, by and with the advice and consent of the Senate, a United States High Commissioner to the government of the Commonwealth of the Philippine Islands who shall hold office at the pleasure of the President and until his successor is appointed and qualified. He shall be known as the United States High Commissioner to the Philippine Islands. He shall be the representative of the President of the United States in the Philippine Islands and shall be recognized as such by the government of the Commonwealth of the Philippine Islands, by the commanding officers of the military forces of the United States, and by all civil officials of the United States in the Philippine Islands. He shall have access to all records of the government or any subdivision thereof, and shall be furnished by the Chief Executive of the Commonwealth of the Philippine Islands with such information as he shall request. If the government of the Commonwealth of the Philippine Islands fails to pay any of its bonded or other indebtedness or the interest thereon when due or to fulfill any of its contracts, the United States High Commissioner shall immediately report the facts to the President, who may thereupon direct the High Commissioner to take over the customs offices and administration of the same, administer the same, and apply such part of the revenue received therefrom as may be necessary for the payment of such overdue indebtedness or for the fulfillment of such contracts. The United States High Commissioner shall annually, and at such other times as the President may require, render an official report to the President and Congress of the United States. He shall perform such additional duties and functions as may be delegated to him from time to time by the President under the provisions of this Act. The United States High Commissioner shall receive the same compensation as is now received by the Governor-General of the Philippine Islands, and shall have such staff and assistants as the President may deem advisable and as may be appropriated for by Congress, including a financial expert, who shall receive for submission to the High Commissioner a duplicate copy of the reports to the insular auditor. Appeals from decisions of the insular auditor may be taken to the President of the United States. The salaries and expenses of the High Commissioner and his staff and assistants shall be paid by the United States. The first United States High Commissioner appointed under this Act shall take office upon the inauguration of the new government of the Commonwealth of the Philippine Islands. (5) The government of the Commonwealth of the Philippine Islands shall provide for the selection of a Resident Commissioner to the United States, and shall fix his term of office. He shall be the representative of the government of the Commonwealth of the Philippine Islands and shall be entitled to official recognition as such by all departments upon presentation to the President of credentials signed by the Chief Executive of said government. He shall have a seat in the House of Representatives of the United States, with the right of debate, but without the right of voting. His salary and expenses shall be fixed and paid by the Government of the Philippine Islands. Until a Resident Commissioner is selected and qualified under this section, existing law governing the appointment of Resident Commissioners from the Philippine Islands shall continue in effect. (6) Review by the Supreme Court of the United States of cases from the Philippine Islands shall be as now provided by law; and such review shall also extend to all cases involving the constitution of the Commonwealth of the Philippine Islands. (1) For the purposes of the Immigration Act of 1917, the Immigration Act of 1924 [except section 13 (c)], this section, and all other laws of the United States relating to the immigration, exclusion, or expulsion of aliens, citizens of the Philippine Islands who are not citizens of the United States shall be considered as if they were aliens. For such purposes the Philippine Islands shall be considered as a separate country and shall have for each fiscal year a quota of fifty. This paragraph shall not apply to a person coming or seeking to come to the Territory of Hawaii who does not apply for and secure an immigration or passport visa, but such immigration shall be determined by the Department of the Interior on the basis of the needs of industries in the Territory of Hawaii. (2) Citizens of the Philippine Islands who are not citizens of the United States shall not be admitted to the continental United States from the Territory of Hawaii (whether entering such territory before or after the effective date of this section) unless they belong to a class declared to be non-immigrants by section 3 of the Immigration Act of 1924 or to a class declared to be nonquota immigrants under the provisions of section 4 of such Act other than subdivision (c) thereof, or unless they were admitted to such territory under an immigration visa. The Secretary of Labor shall by regulations provide a method for such exclusion and for the admission of such excepted classes. (3) Any Foreign Service officer may be assigned to duty in the Philippine Islands, under a commission as aconsular officer, for such period as may be necessary and under such regulations as the Secretary of State may prescribe, during which assignment such officer shall be considered as stationed in a foreign country; but his powers and duties shall be confined to the performance of such of the official acts and notarial and other services, which such officer might properly perform in respect to the administration of the immigration laws if assigned to a foreign country as a consular officer, as may be authorized by the Secretary of State. (4) For the purposed of sections 18 and 20 of the Immigration Act of 1917, as amended, the Philippine Islands shall be considered a foreign country. (b) The provisions of this section are in addition to the provisions of the immigration laws now in force, and shall be enforced as part of such laws, and all the penal or other provisions of such laws not applicable, shall apply to and be enforced in connection with the provisions of this section. An alien, although admissible under the provisions of this section, shall not be admitted to the United States if he is excluded by any provision of the immigration laws other than this section, and an alien, although admissible under the provisions of the immigration laws other than this section, shall not be admitted to the United States if he is excluded by any provision of this section. (c) Terms defined in the Immigration Act of 1924 shall, when used in this section, have the meaning assigned to such terms in the Act. Sec. 9. There shall be no obligation on the part of the United States to meet the interest or principal of bonds and other obligations of the Government of the Philippine Islands or of the provincial and municipal governments thereof, hereafter issued during the continuance of United States sovereignty in the Philippine Islands: Provided, That such bonds and obligations hereafter issued shall not be exempt from taxation in the United States or by authority of the United States. Sec. 10. (a) On the 4th, day of July immediately following the expiration of a period of ten years from the date of the inauguration of the new government under the constitution provided for in this Act the President of the United States shall by proclamation withdraw and surrender all right of possession, supervision, jurisdiction, control, or sovereignty then existing and exercised by the United States in and over the territory and people of the Philippine Islands, including all military and other reservations of the Government of the United States in the Philippines (except such naval reservations and fueling stations as are reserved under section 5), and, on behalf of the United States, shall recognize the independence of the Philippine Islands as a separate and self-governing nation and acknowledge the authority and control over the same of the government instituted by the people thereof, under the constitution then in force. (b) The President of the United States is hereby authorized and empowered to enter into negotiations with the Government of the Philippine Islands, not later than two years after his proclamation recognizing the independence of the Philippine Islands, for the adjustment and settlement of all questions relating to naval reservations and fueling stations of the United States in the Philippine Islands, and pending such adjustment and settlement the matter of naval reservations and fueling stations shall remain in its present status. Sec. 11. The President is requested, at the earliest practicable date, to enter into negotiations with foreign powers with a view to the conclusion of a treaty for the perpetual neutralization of the Philippine Islands, if and when the Philippine independence shall have been achieved. Sec. 12. Upon the proclamation and recognition of the independence of the Philippine Islands, the President shall notify the governments with which the United States is in diplomatic correspondence thereof and invite said governments to recognize the independence of the Philippine Islands. Sec. 13. After the Philippine Islands have become a free and independent nation there shall be levied, collected, and paid upon all articles coming into the United States from the Philippine Islands the rates of duty which are required to be levied, collected, and paid upon like articles imported from other foreign countries: Provided, That at least one year prior to the date fixed in this Act for the independence of the Philippine Islands, there shall be held a conference of representatives of the Government of the United States and the Government of the Commonwealth of the Philippine Islands, such representatives to be appointed by the President of the United States and the Chief Executive of the Commonwealth of the Philippine Islands, respectively, for the purpose of formulating recommendations as to future trade relations between the Government of the United States and the independent Government of the Philippine Islands, the time, place, and manner of holding such conference to be determined by the President of the United States; but nothing in this proviso shall be construed to modify or affect in any way any provision of this Act relating to the procedure leading up to Philippine independence or the date upon which the Philippine Islands shall become independent. Sec. 14. Upon the final and complete withdrawal of American sovereignty over the Philippine Islands the immigration laws of the United States (including all the provisions thereof relating to persons ineligible to citizenship) shall apply to persons who were born in the Philippine Islands to the same extent as in the case of other foreign countries. Sec. 15. Except as in this Act otherwise provided, the laws now or hereafter in force in the Philippine Islands shall continue in force in the Commonwealth of the Philippine Islands until altered, amended, or repealed by the Legislature of the Commonwealth of the Philippine Islands or by the Congress of the United States, and all references in such laws to the government or officials of the Philippines or Philippine Islands shall be construed, insofar as applicable, to refer to the government and corresponding officials respectively of the Commonwealth of the Philippine Islands. The government of the Commonwealth of the Philippine Islands shall be deemed successor to the present Government of the Philippine Islands and of all the rights and obligations thereof. Except as otherwise provided in this Act, all laws or parts of laws relating to the present Government of the Philippine Islands and its administration are hereby repealed as of the date of the inauguration of the government of the Commonwealth of the Philippine Islands. Sec. 16. If any provision of this Act is declared unconstitutional or the applicability thereof to any person or circumstance is held invalid, the validity of the remainder of the Act and the applicability of such provisions to other persons and circumstances shall not be affected thereby. Sec. 17. The foregoing provisions of this Act shall not take effect until accepted by concurrent resolution of the Philippine Legislature or by a convention called for the purpose of passing upon that question as may be provided by the Philippine Legislature. I posted a comment on the The Philippine Independence Act a few days ago.